The Department of Energy may be facing potentially massive budget cuts and interference in how it gives out green technology research grants, but it’s still getting the money out there. 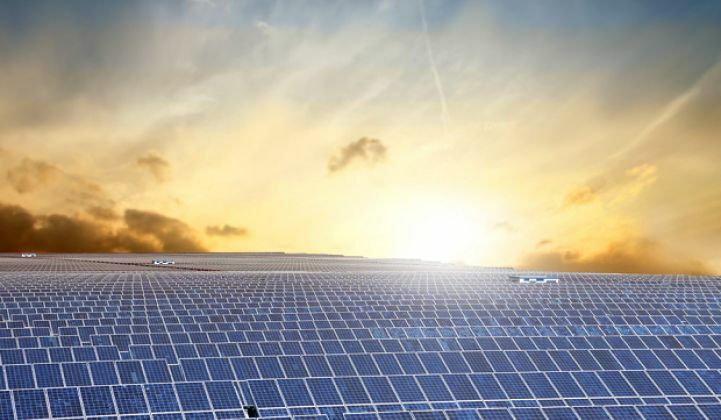 The latest installment is $46.2 million from DOE’s SunShot Initiative, aimed at bringing a host of solar PV, solar thermal, energy storage and inverter technologies closer to market. The research grants are split into four categories, two of them on the more technical side. Technical categories include the 10 different university-led projects into “small innovative” solar technologies, as well as university and private-sector research into module characterization, modeling and analysis. The Rapid PV System Deployment section under PVRD2 will fund two projects from two big research organizations: a solar farm arc flash risk study from the Electric Power Research Institute and a non-penetrating adhesive mounting system to put glass modules on asphalt shingles from the Fraunhofer USA Center for Sustainable Energy Systems. Stanford University and Colorado State University won grants of over $1 million for projects involving perovskite on silicon tandem modules and new encapsulant materials for thin-film solar modules, respectively. Stion Corp., a startup that’s repurposed silicon semiconductor manufacturing equipment to make high-efficiency solar cells, won $956,630 to work on advanced monolithic interconnects for solar cells, with investigation areas including “characterizing and understanding the interactions between incident light and the optical properties of the various device layers in order to ensure successful ablation of the target device layers while avoiding modifying the optoelectronic properties of neighboring layers,” for the engineers out there. The SunShot program has been remarkably successful. In January, GTM Research observed the arrival of $1-per-watt pricing for solar PV systems, which suggests SunShot hit its pricing target three years earlier than its initial 2020 goal. The latest round of funding goes beyond PV. In particular, SunShot's technology-to-market category included some big grants for solar thermal technology, whose price advantage over solar PV at utility scale has been eroded quite a bit over the past decade. Power electronics were also represented, with Urbana, Ill.-based Power Integration Laboratory winning $922,693 for advanced gallium nitride-based inverter architectures for utility solar applications. The T2M funding also included a few PV research projects, including $1.5 million for Leading Edge Crystal Technologies to research floating silicon methods for kerfless production of high-quality monocrystalline silicon ribbons in photovoltaic modules, and $2.5 million for Next Energy Technologies to research the integration of organic photovoltaic materials with commercial windows. Several software companies also won grants to help smooth the process of connecting utilities, solar providers and customers. UtilityAPI won $923,750 to develop a low-cost implementation of OPenESPI Data Custodian, a piece of software that can help utilities and solar providers share customer data through the Green Button standard. EnergySage won $1.6 million to develop its online solar marketplace for residential customers seeking solar equipment, financing and installation options. And Pace Avenue got $1.5 million for software to match low-income homeowners with property-assessed clean energy financing options for solar and other home improvements. Since its creation in 2011, the SunShot Initiative has given out hundreds of millions of dollars to projects across the country. So far this year, it has provided up to $30 million in additional funding for 13 projects under its newly launched Enabling Extreme Real-Time Grid Integration of Solar Energy funding program, as well as $18 million for six projects in its Sustainable and Holistic Integration of Energy Storage and Solar PV funding program. It’s unclear how much longer SunShot will be able to continue funding solar research at its current pace, however. Under the Trump administration’s proposed budget, the Office of Energy Efficiency and Renewable Energy, which includes SunShot, would face a 70 percent or $1.4 billion budget cut. And the Advanced Research Projects Agency-Energy, or ARPA-E, which has provided billions in grants to bring cutting-edge energy and grid technologies to market, would be cut completely.